Kennametal was founded in 1938. Customers across aerospace, earthworks, energy, general engineering and transportation trust Kennametal’s innovations in materials science, tooling and wear-resistant solutions. Kennametal employs more than 11,000 people around the globe serving customers in more than 60 countries. In fiscal year 2017, Kennametal reported sales of 2.1 billion dollars. Experts in three business segments Industrial, Infrastructure and WIDIA work directly on the customer shop floor, at the mine face or on the construction site to solve problems and increase productivity. 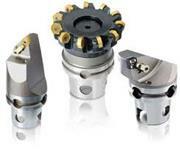 At the LEADING edge of CUTTING tool technology, the LOMAS approach is both market driven and technology led. Our policy of continual investment in state-of-the-art manufacturing methods undertaken to our own exacting quality control system and supported by ISO 9001:2008 certification, together with a programme of pure and applied research assures strict compliance to the customers requirements for special tooling. Lomas Engineering was formed in 1978 utilising over forty years experience of specialist cutting tool manufacture, enabling the company to offer cutting tools of the highest quality and reliability. Our Technical Customer Service Department are on hand to answer your queries and requirements. Lomas Engineering is a specialist manufacturer of cutting tools to the Aerospace Industry and its Maintenance Sector, meeting all their quality control procedures. Since our establishment in 1995, DYC CO., LTD. has been manufacturing various cutting tools. DYC tools will contribute to increasing productivity in our customers’ production lines by producing good quality products. DYC has been mainly producing reamers, countersinks, end mills, drills, counterbores, milling cutter, and inside deburring tools, as well as aerospace assembling tools by using HSS, HSS-PM, and carbide materials. DYC has been continuously developing new cutting tools in the DYC R&D lab in response to customers’ various requests. In addition to providing high quality products for our customers, DYC has applied a stringent QA system during manufacturing. DYC promise that DYC products will help to increase the efficiency of our customers’ productivity at competitive prices. DYC continues to make ever greater efforts in response to our customers’ needs.